When I stopped by the State Finals for the North Carolina Senior Games track and field events in Durham, my first thought was that these people could run circles around my thirtysomething self. My second thought was that they were having a blast doing it. 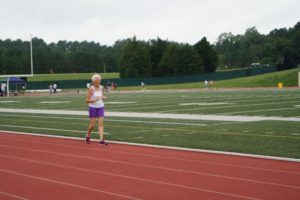 The track and field State Finals in September was just one of dozens of tournaments that took place this fall, where more than 3,200 North Carolinians age 50 and older (some in their 90s!) competed for a chance to go to the 2017 National Senior Games in Birmingham, AL. The range of sports in these games is as unique as the participants. There’s the usual stuff like swimming, tennis, basketball and bowling. And then there are the more unique events like bocce, pickleball (I had to Google that one), spin casting, and even cheerleading and visual arts. Another perk of making new friends – you’ve lowered your risk of depression, which Allen said is one of the main undiagnosed illnesses for seniors. 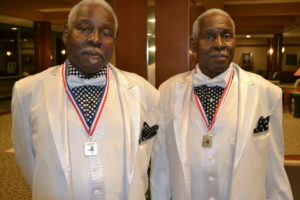 In a recent study of NC Senior Games participants, 88 percent said they were more socially active because of the games. And 79 percent said they were more physically active, and spent an average of 6.6 hours each week involved in physical activity because of the games. 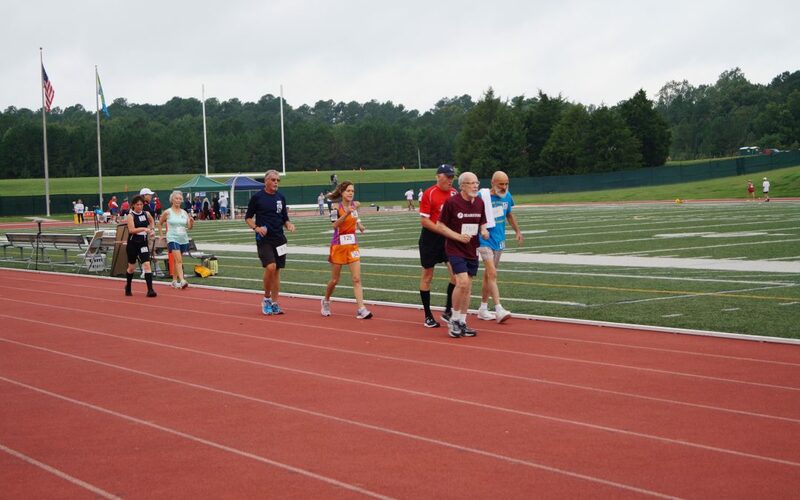 More than 60,000 seniors – with a wide range of abilities – compete in local events throughout North Carolina which feed into the NC Senior Games. “We have people who are just getting started with exercising, and we have former Olympians. We have so many different activities that there’s a place for everyone. 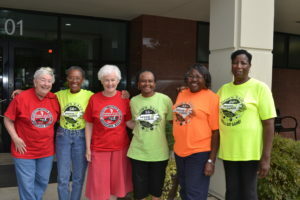 Diversity is one of the greatest strengths of the NC Senior Games,” said Allen. At the track and field State Finals, I spoke with Elnora Thompson, who worked for the Cherokee Nation for 41 years before retiring. At 68, she has survived breast, thyroid and lung cancer. She said, “I didn’t start running until about 10 years ago. I had a friend in a running club, so I checked it out. After my first 5K, I was hooked.” Elnora now runs five days a week, training for 5K and 10K races throughout the state. I also spoke with Betty Allgood from Winston-Salem, who is a celebrity of sorts in the NC Senior Games circuit. She’s 84 years old, and regularly wins the 1500 meter and the 5K walk-race for her age and gender category. She’s been to the National Games several times and will be heading to Birmingham next summer, after snagging another win this fall. Betty got started with the NC Senior Games 24 years ago. She said, “I’ve done it for so long, but it’s still exciting.” Her favorite part? “The competition and staying fit. And all of the wonderful people I’ve met over the years. Everyone is so encouraging.” She walks four days a week to keep in winning shape. I could listen to stories like that all day – about overcoming obstacles, being determined, and not letting a little thing like age get in the way. It seems the NC Senior Games has a prescription for keeping the common ailments of getting older, such as loneliness and inactivity, at bay. Thank you, NC Senior Games, for giving our state’s seniors a place to play. NC Senior Games is a recipient of this year’s Blue Cross and Blue Shield of North Carolina Month of Thanks donation of $5,000.